Happy weekend, friends! Well, not sure how many people have a long weekend, but our offices are closed here...so I am excited that this is my Friday and I get three days at home with my little bird. We are still working on things around the house (always. never ending.) and hopefully will get a few things done off the "To Do" list. I might be taking a trip up to Akron to see my sister and my best friend Michelle (and her new daughter)...but sickness is lingering, so we are playing it by ear. Marin just got over her bug and Michelle's daughter is only a few weeks old - so not taking any chances! + Quick little read on some hilarious examples of mom brain. It is a real thing!! + Love this post where Emily keeps it real and reminds us that "Comparison is the thief of joy." + 9 Christmas movies you can find on Netflix this holiday season. You will need to dust off the DVDs for some of the best though, since Elf, The Holiday, and Love Actually aren't on the list. + This classic banana bread recipe that Ashley shared on her IG stories looks so perfect and delicious! + I need this gorgeous white speckled vase for the center of our dining table! 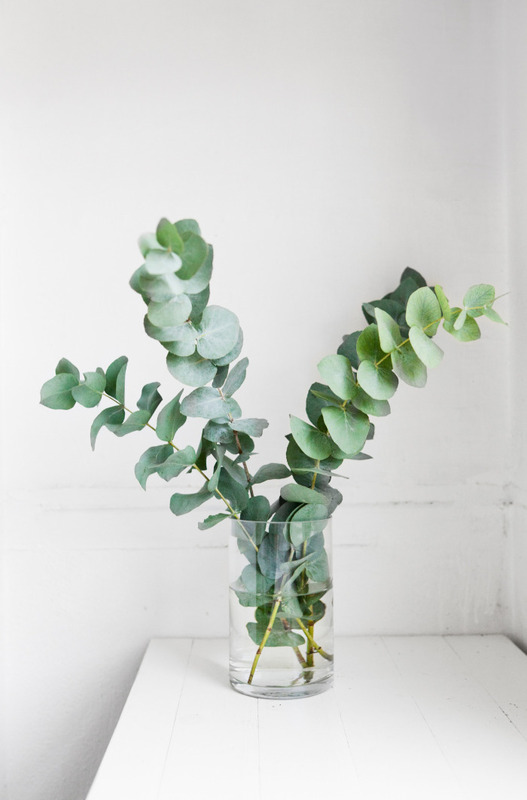 It would be perfect for my big bundle of eucalyptus that is currently thrown haphazardly in whatever glass vase I had available. + Marin's new velvet Christmas bow. + So many cute things in the Hearth & Hand with Magnolia line at Target, what did you all pick up? I haven't gotten my hands on anything yet, but love the look of this plaid doormat. + Bath & Body Works 3-wick candles are only $12.50 through November 9th (originally $24.50) and you can get an extra 20% off with the code GREETINGS. This is the time of year I stock up on these. + Up to 50% off everything plus an extra 20% off your purchase with the code CHEERS at Gap. Great time to grab this bell sleeve top - I have it in gray and it is super comfortable on top of being cute for work or dressed down.